Within our studio space at the Maui Yoga Shala and the dining area of the Island Fresh Cafe is our beautiful boutique which offers the finest selection of yoga wear on all of Maui. Our boutique’s focus is to carry products to meet the needs of all yogis and non yogis alike, but our selection does not end there. 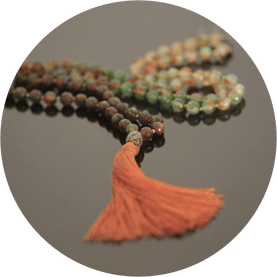 We also offer multiple collections of exquisite hand-crafted jewelry by local artisans, prayer bead malas, everyday fashion, swimwear, accessories, books, gifts, and more! Be sure to stop buy the and check out what we have in store today!